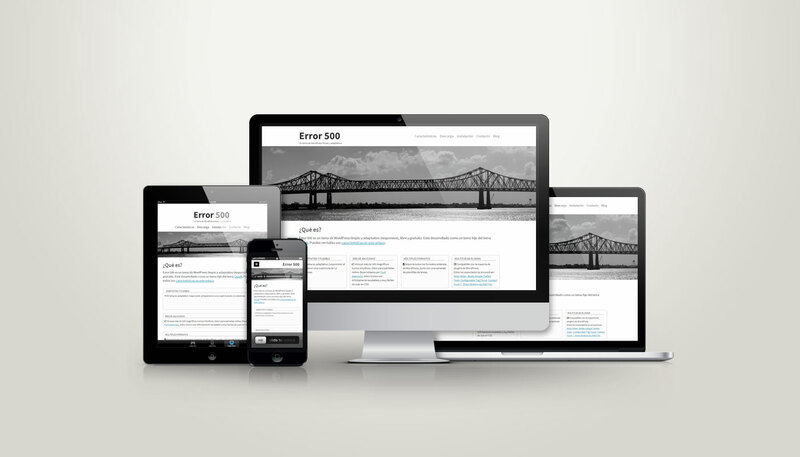 Error 500 is a clean, responsive and free WordPress theme. It is developed as a Quark child theme. You can see all the features on this link. You can see a demo on this link. If you want to know how to install it you have information on this link. Error 500 is available for download on GitHub, with GNU/GPL v2 license. Error 500, Antonio Ortiz’s blog.